Posted By:Unknown | At:7:10 AM Be the first to comment! ﻿ The Rev. Creflo Dollar on Sunday sought to pay all the bills for the family of the church employee shot and killed at his World Changers Church International on Wednesday. “In my book, he’s a hero,” Dollar said of Greg McDowell, who was gunned down while leading morning prayer service at the church. “If those bullets hadn’t been trained on him, there would’ve been more people that would’ve died,” Dollar told the congregation. 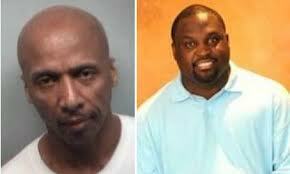 Police have charged former church employee Floyd Palmer in McDowel’s death. Investigators say Palmer, 52, calmly walked into morning prayer service Wednesday and fired six shots at McDowell, killing the 39-year-old husband and father. Dollar challenged church members to give as they left the College Park church, to make online donations and to give to a special fund the church has set up at a bank. Members told the Atlanta Journal-Constitution they expected Dollar’s response to the tragedy. “He has a love for people,” Debbie Taylor said. Mike Howard said Dollar’s actions, and the acquiescence of the church members was just part of belonging to the church. Marcia Danielson said the gesture reflects Bible scripture that directs each church to take care of its members when the need arises. Indeed, Dollar highlighted such burdens when he asked the church to help McDowell’s family. Blue barrels were stationed near each of the exits and church-goers dropped cash and envelopes filled with checks and money as they departed. It was unclear early Sunday afternoon, how much the church raised, but donations continue to be accepted. Contributions can be made through the World Changers online, under the Gregory McDowell Family Fund. An account has been established at Regions Bank for donations in the name of the McDowell Family, Dollar said. Services for McDowell will be 11 a.m. Tuesday at the church at 2500 Burdett Road.